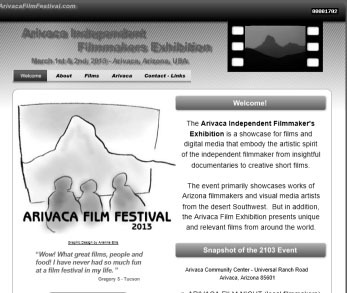 I accepted an invitation to attend the 2013 Arivaca Film Festival in Arivaca, Arizona on March 1 and 2. This is Arivaca Film Festival’s fifth year AND, did I mention, it’s free? I am so excited as this will be my first time to attend; and, I am really looking forward to viewing “real” independent films. Please stay tuned for an update. You can read about the Festival here.